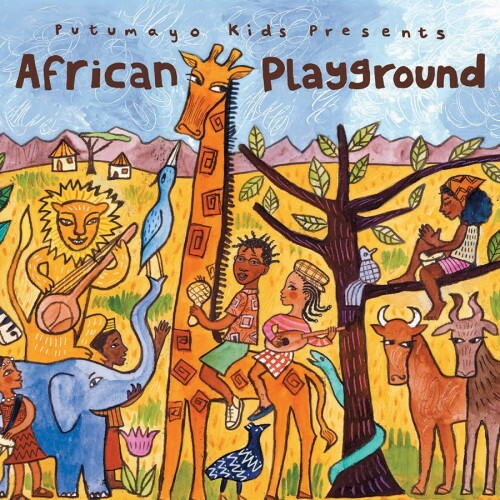 This time I didn't include a playlist from YouTube, but instead checked out Putumayo Kids' African Playground. It was perfect and I didn't have to deal with random ads. This time, I had mounted a map onto a big piece of cardboard that I had cut out to show the month's country in relation to us. I always include the country's flag and a close up of the country as well. I was lucky enough to have my friend Ruthie and her new husband, Devin, come in as my guest speakers. 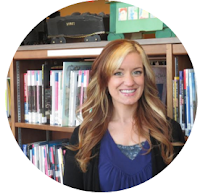 Both have spent time in Africa and Ruthie spent several years specifically in Kenya. 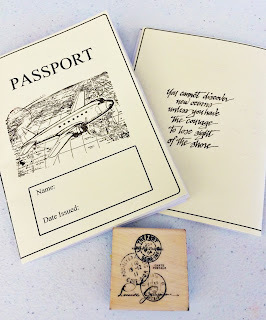 They shared stories of what it was like to live there, cultural differences, random interesting facts, and passed around some novelty items as well. They were great presenters, and everyone became involved in asking questions! 1. Kenya is located in East Africa, on the Equator. 2. In 2012, the population of Kenya was estimated to be around 43 million. 3. Hydroelectricity is the largest contributor to Kenya's electrical supply. 4. The capital and largest city is Nairobi, Mombasa is the second largest city. 5. The two official languages in Kenya are English and Swahili, although there are dozens of other languages spoken in other parts of the country. 6. Kenya is a developing country and half of the population live in poverty. 7. Kenya features many national parks and wildlife reserves, with safaris being a popular activity for visitors. 8. Agriculture is important to Kenya's economy. Especially tea, coffee, and flowers. 9. 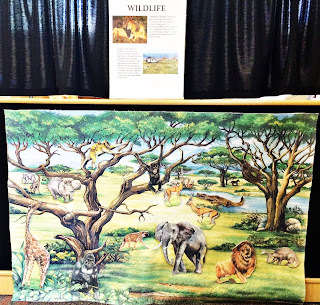 Large animals such as lions, buffalo, leopards, elephants, and rhinoceroses are present in Kenya. 10. In Kenya, they drive on the left side of the road. 11. Kenya is named after Mt. Kenya, the tallest mountain in the country (5,199 meters, 17,057 feet). 12. In terms of sports, Kenya is perhaps best known for its middle and long distance running, with the country frequently producing Olympic champions. This was a fun passive activity. I just found a website with some English-Swahili terms and made my own. I laminated them to make them last. By the way, "hakuna matata" really DOES mean "no worries!" One of the main characteristics of culture of African peoples is use of masks in rituals and ceremonies. It is believed that the earliest masks were used in Africa before Paleolithic era. They represent spirits of animals or ancestors, mythological heroes, moral values or a form of honoring of a person in a symbolic way. This became an open-ended art project and all I did was lay out a bunch of random craft pieces and printed off this mask from Nuttin' But Preschool. 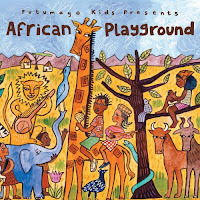 Traditional African music is polyrhythmic; 2 or more rhythms are present. The rhythm of the drum is predominating while string, wind and shake instruments accompany. People become a third instruments by clapping, stomping, singing and chanting. 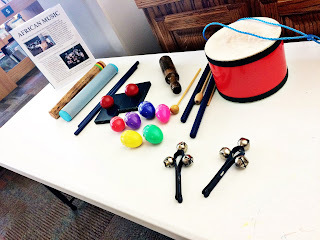 The kids really enjoyed experimenting with sound and rhythm! Soccer, or football, is huge in Kenya! 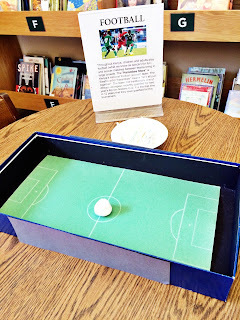 I took the lid to a board game, some green construction paper and a white crayon and made this table-top football field. Then I provided cut up straws and a pom-pom for the kids to try and blow the pom-pom to the other side. I made sure to provide a trash can underneath the table to dispose of the used straws. Shisima is a math game that both the parents and kids enjoyed. One family stayed and played it for an hour! I got the idea from B-Inspired Mama (you can also find the rules of the game there). For the younger kids I pulled out this nifty African animals felt set we had in the office. It provided a more sensory experience, but the older kids ended up playing with it as well! RECEPTION: This was another successful World Travelers! Everyone really enjoyed the presentation and hearing about life in Kenya. There was a good turn out and we had some kids who returned with their passports. One of them has been writing the dates underneath the stamps. It's so cool to see how this program is becoming real to them! Next stop...Japan! 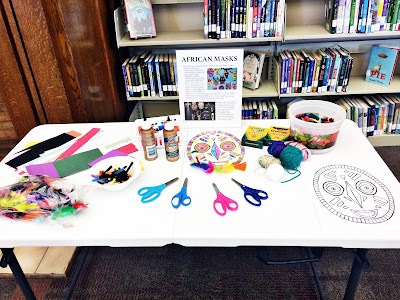 Check out my list of books related to Kenya/Africa HERE. Follow My Kenya Board on Pinterest.